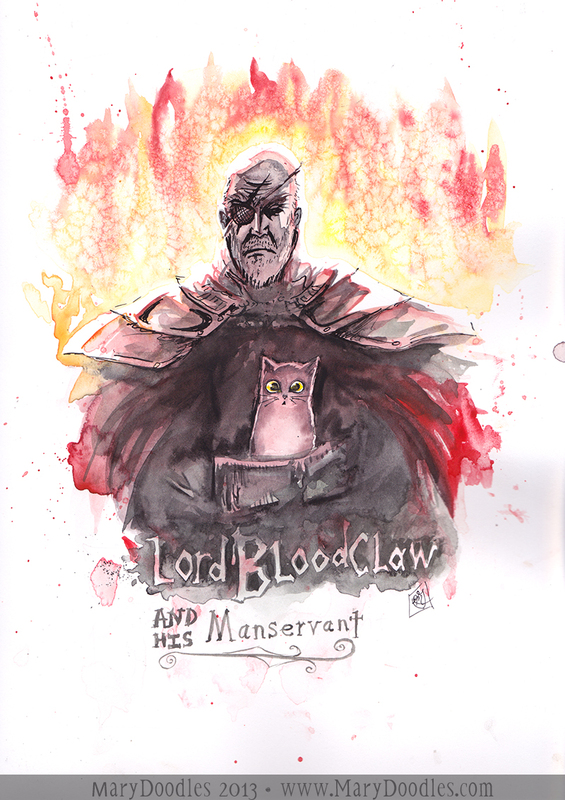 "Lord Bloodclaw and his Manservant"
Here be a painting that was made twice. The first one was never really finished, but I did accidentally butcher it with scissors for the sake of a another project. I thought it was a blank piece of paper. Perhaps I should have turned it over. But that's okay, because I never recorded the painting of the first one. It was just a warmup doodle. Sometimes my favorite ideas come from the drawings that are meant to go nowhere. Funny how that is. This one has an explosion in it.